Vargo VX3 VS Xgody S9: Will You Go For 6GB RAM Or 5000 mAh Battery? 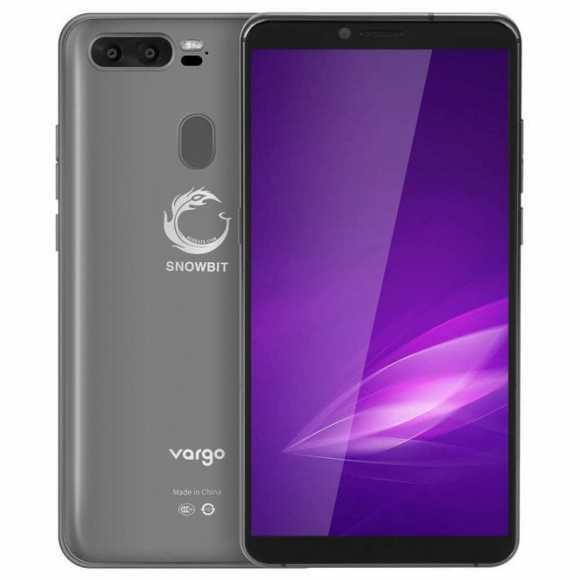 Vargo VX3 is not a popular smartphone, however, it’s still an affordable smartphone that features a similar design with the Xgody S9. Both come with a decent body design and average specifications. In this article, we will be comparing the Vargo VX23 with the Xgody S9. In terms of design, the Vargo VX3 is built with metal and it comes with a notch-free display. The handset measures 72 mm x 149 mm x 8.3 mm in dimensions and weight 165 gram. The Xgody S9 is built with plastic and it had a notch up front. The phone measures 74 mm x 153 mm x 9 mm and weighs 202 gram. Both phones are available in multiple colors and they also have a fingerprint scanner for security. The Vargo VX3 has a screen size of 5.7 inches alongside IPS, LCD capacitive touchscreen with a resolution of 1440 x 720 Pixels and 282 PPI density. The Xgody S9 has a bigger screen size of 6.18 inches HD alongside IPS capacitive touchscreen with a resolution of 1080 x 2246 Pixels and 403 PPI density. Both phones have a display protection and they will also offer clear visuals as well. The Xgody S9 has the point because of the bigger screen and it also has a higher screen to body ratio. The Vargo VX3 has a dual rear camera of 13 Megapixels with dual LED flash and a front facing camera of 8 Megapixels, whereas the Xgody S9 has a dual rear camera of 13 Megapixels + 2 Megapixels with dual LED flash and a front camera of 5 Megapixels. In the camera department, it will be difficult to choose a winner because both phones feature similar resolution and image dimensions as well. The Vargo VX3 has a MediaTek Helio P20 MT6757 chipset with an octa-core processor that clocked at a speed of 2.39GHz, while the Xgody S9 has a MediaTek MT6750 chipset with an octa-core processor that clocked at a speed of 1.5GHz. Both phones have the same ARM Mali-T880 MP2 GPU and they also support 4G LTE network. On the memory, the Vargo VX3 wisely packs a huge 6GB RAM with internal memory of 128GB which is expandable, while the Xgody S9 has a 4GB RAM with onboard storage of 32GB which is also expandable as well. The Vargo VX3 is powered by Android 7.1 Nougat, while the Xgody S9 is powered by Android 8.1 Oreo operating system. The Vargo VX3 has a nonremovable battery capacity of 3500 mAh with fast charging technology, while the Xgody S9 has a massive battery capacity of 5000 mAh without fast charging technology. On the price, the Vargo VX3 is currently selling at a price of $159.99, while the Xgody S9 cost around $159.99 as well. The Vargo VX3 has a bigger RAM and a generous inbuilt memory and apart from that, it also features a more powerful hardware on the inside. So, it will perform better than the Xgody S9 smartphone. Since they are selling for the same price, it means the Vargo VX3 will make a wise buy.